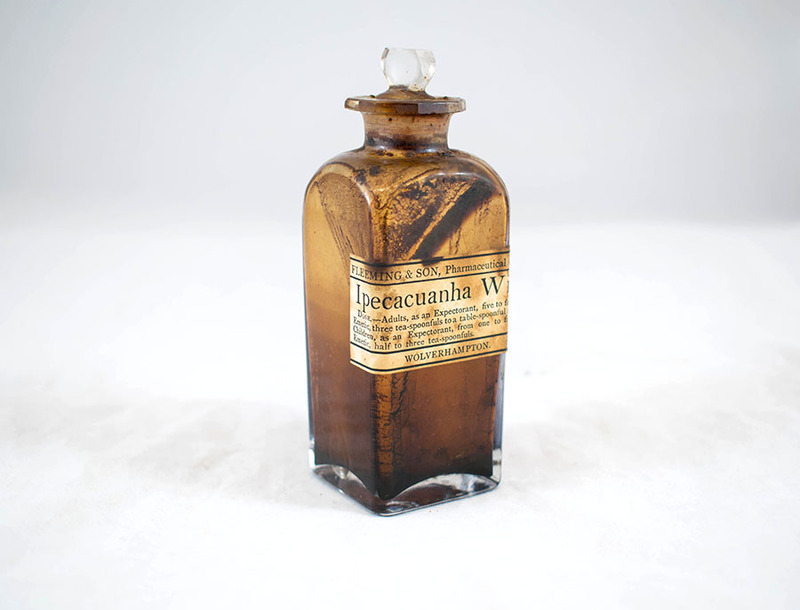 Glass bottle with glass stopper, containing ipecacuanha wine. 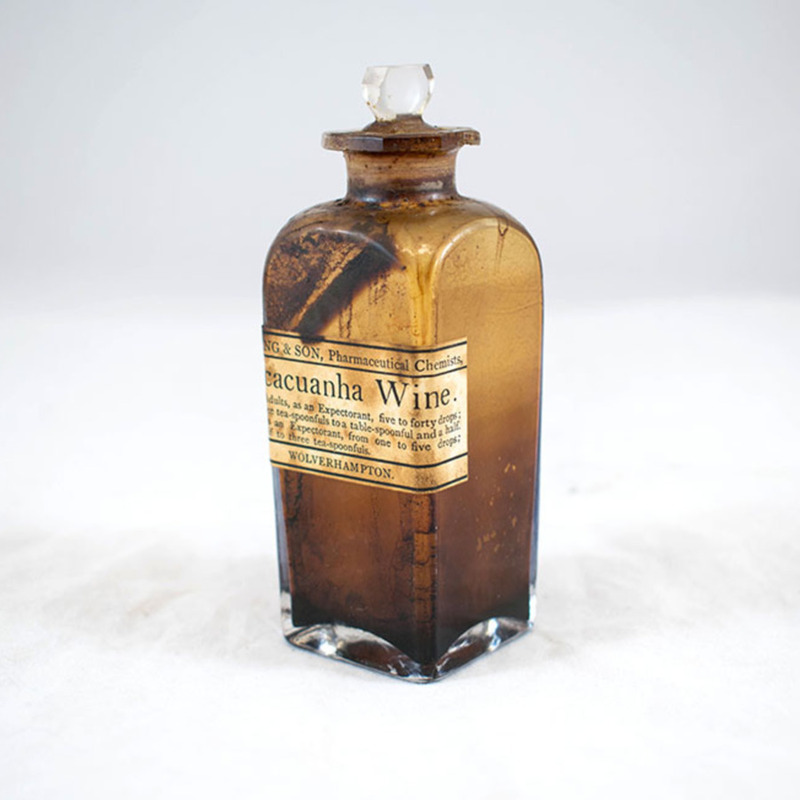 Part of 19th century mahogany apothecary's box. 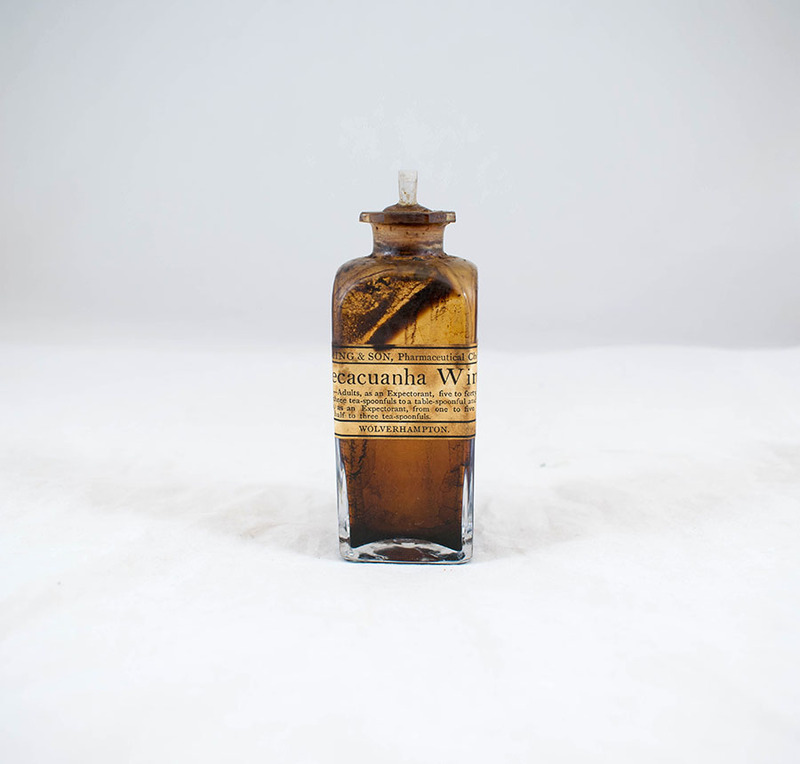 DOSE - Adults, as an Expectorant, five to forty drops; Emetic, three tea-spoonfuls to a table-spoonful and a half. Children, as an Expectorant, from one to five drops; Emetic, half to three tea-spoonfuls. 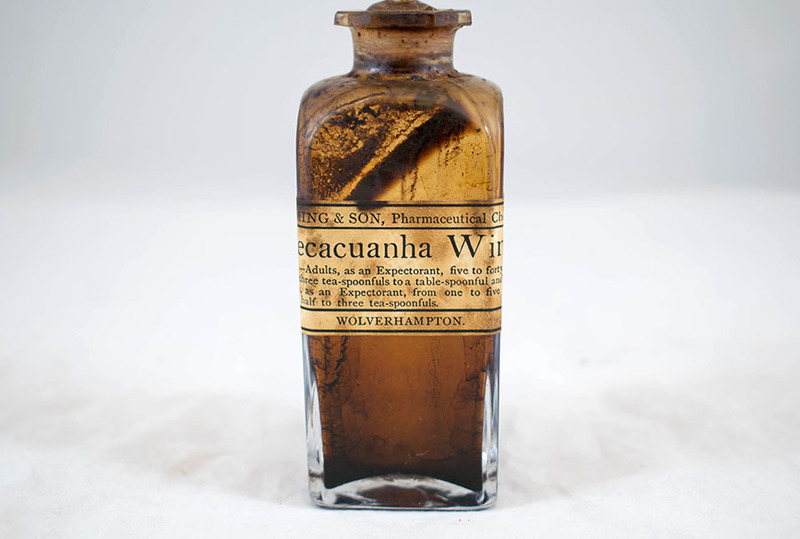 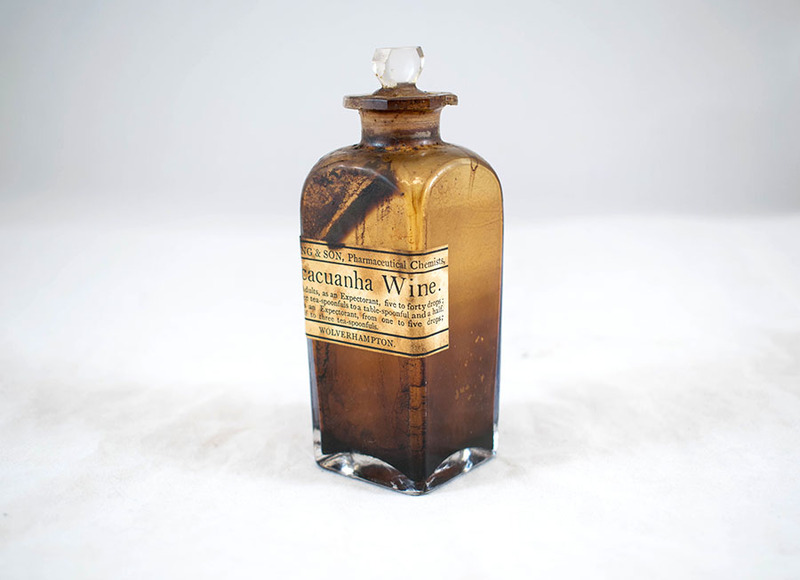 Fleeming & Son; c. 1860-1880; chemist, “Ipecacuanha wine bottle,” Heritage, accessed April 20, 2019, https://heritage.rcpsg.ac.uk/items/show/784. 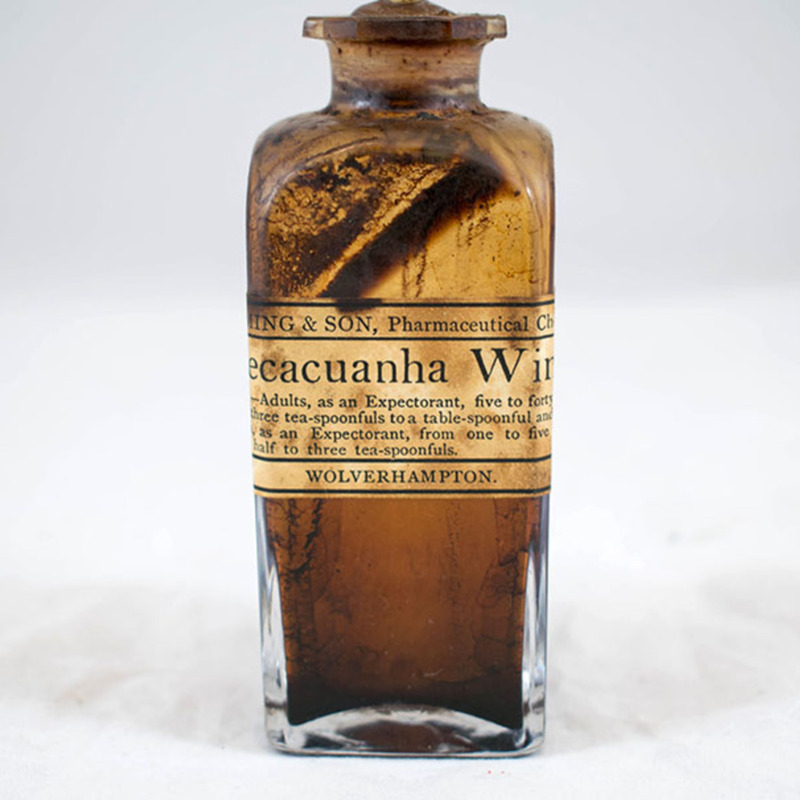 Description: Glass bottle with glass stopper, containing ipecacuanha wine. 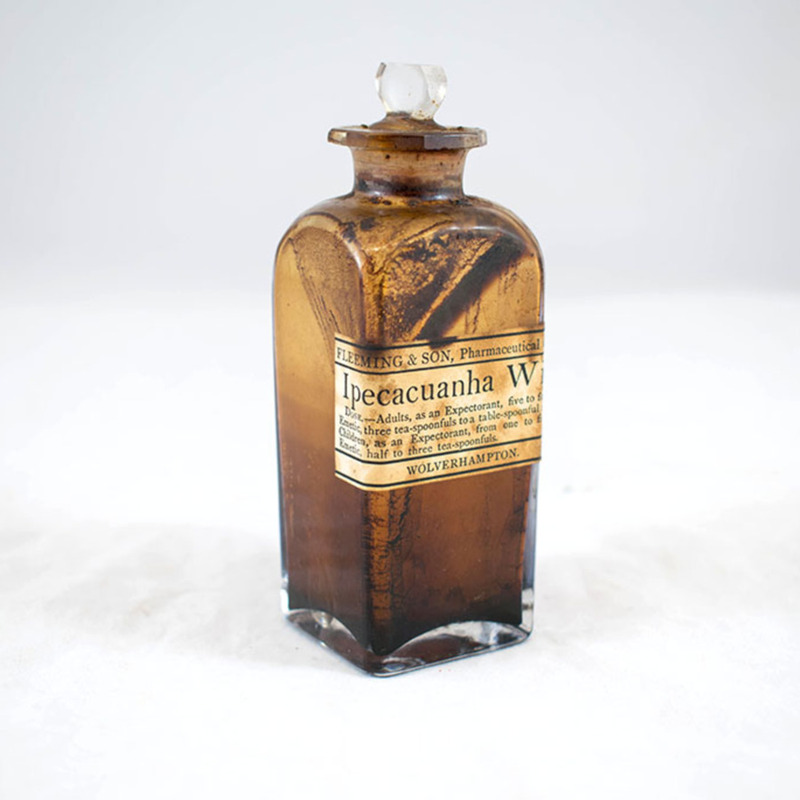 Part of <a href="https://heritage.rcpsg.ac.uk/items/show/540">19th century mahogany apothecary's box</a>.